Well thats the deal braker. Well thats the deal breaker. I've only had my '08 EXL for a couple of weeks, but I immediately noticed that it had less stopping power than my old '00. Getting some 18"s put on next week and will definitely be doing this upgrade the first time it needs front brakes, if not sooner. Thanks for the report! Here are a few pictures of all the parts necessary. 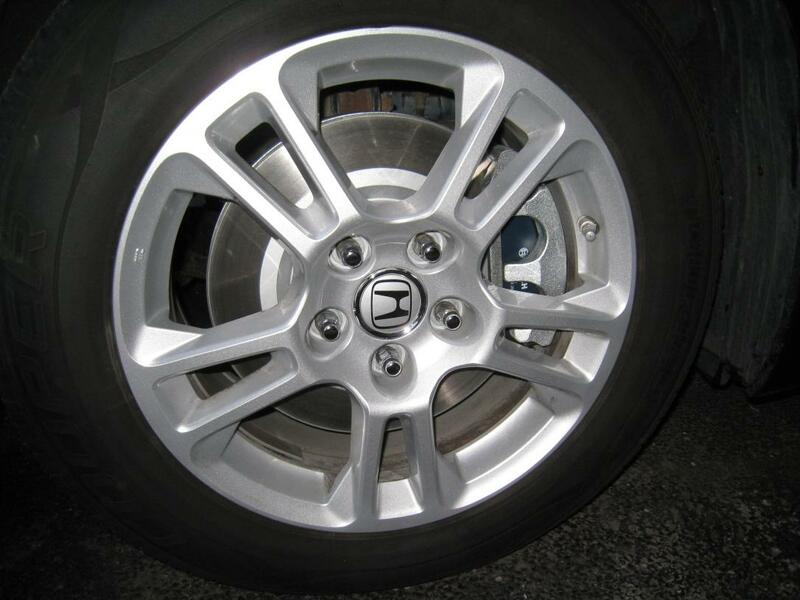 And a pic of the stock small calipers on my wifes van. Thanks for the offer, Mark. I wasn't going to do this for awhile due to the cash dropped on the wheels and tires, but if the deal's good enough, I may jump on it I'll shoot you a PM. Joe422 what are you using for a spare tire? 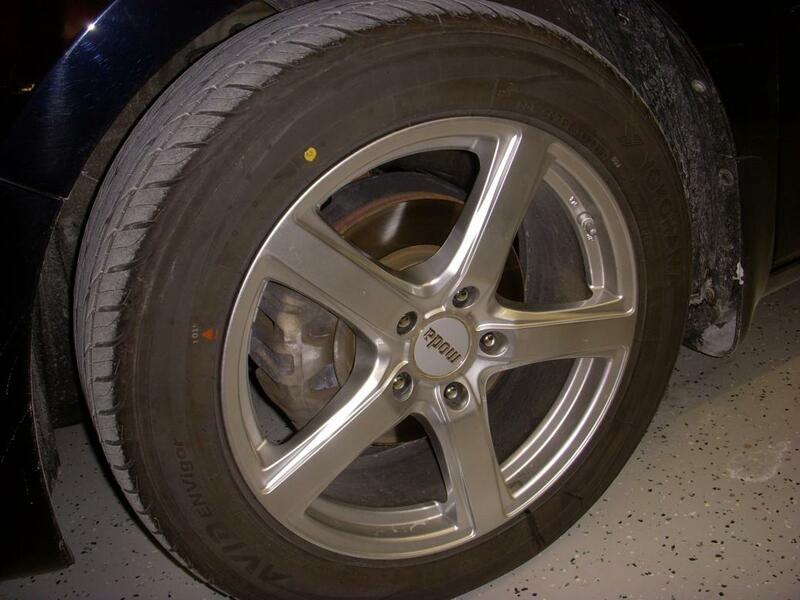 If the factory 16" wheels won't fit, I'm assuming the factory spare tire won't fit either. 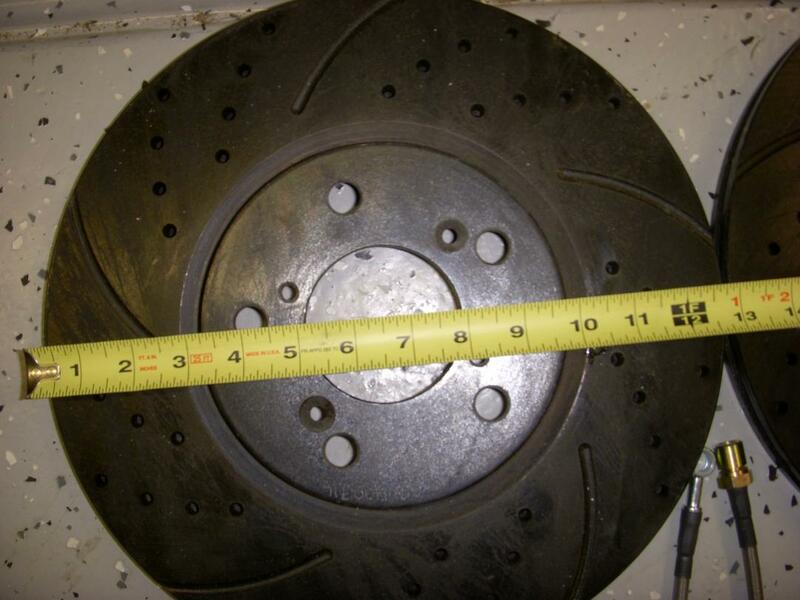 Would we need to upgrade to a 09+ Pilot spare wheel and tire as well? Wow, this looks like an interesting "BBK" upgrade. I once tried acquiring a K Sport BBK but it didn't fit. Will have to look into this. I did get EBC (?) 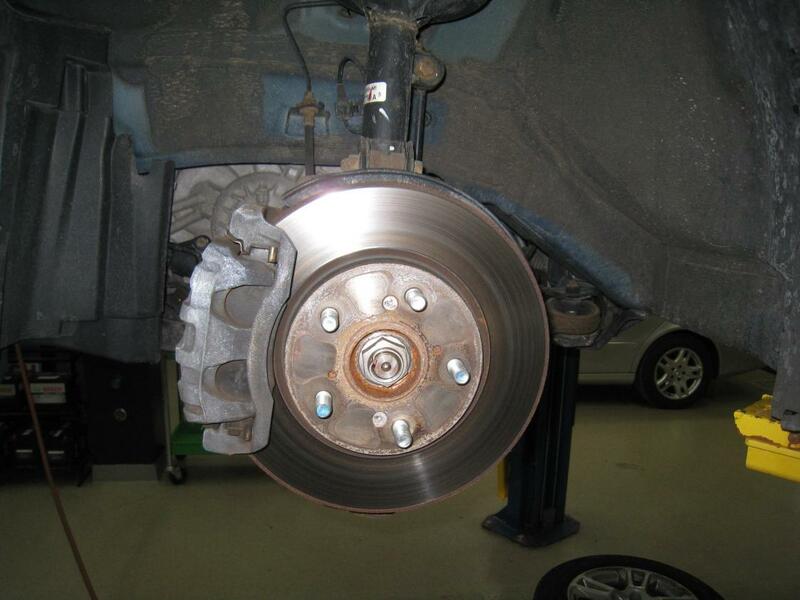 rotors and pads for the rear and there's a noticeable bite. I still have stock fronts since the K Sport adventure fizzled out. 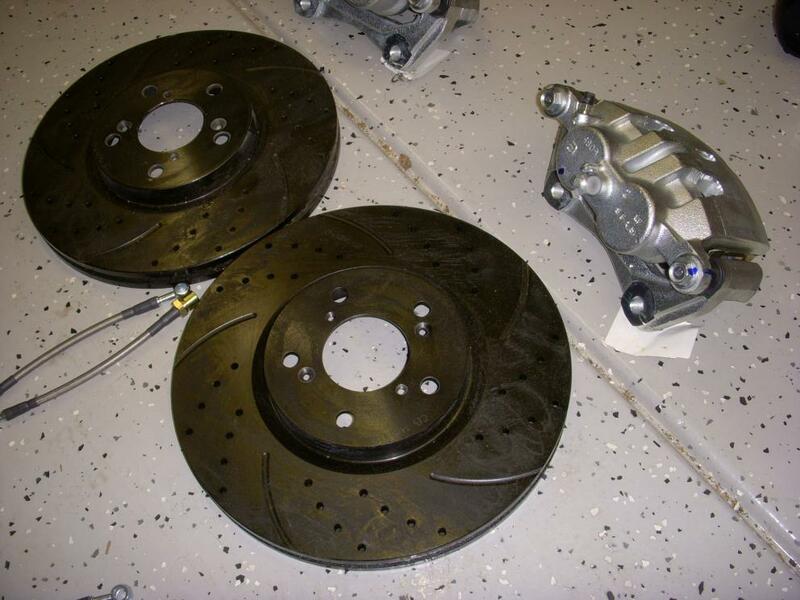 Brake kit is sold. Thanks DJ. I have also successfully performed the upgrade to our 2006 Touring. 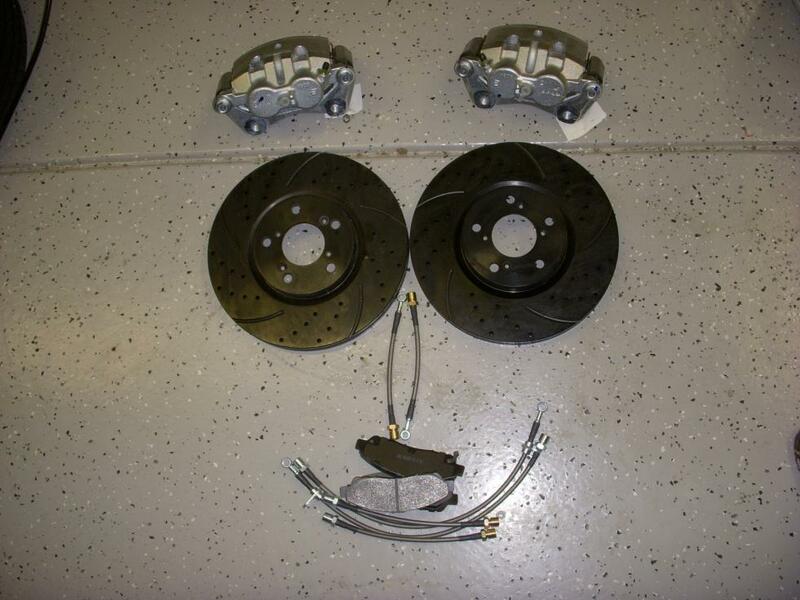 I bought 09+ pilot calipers / brackets / rotors / pads. 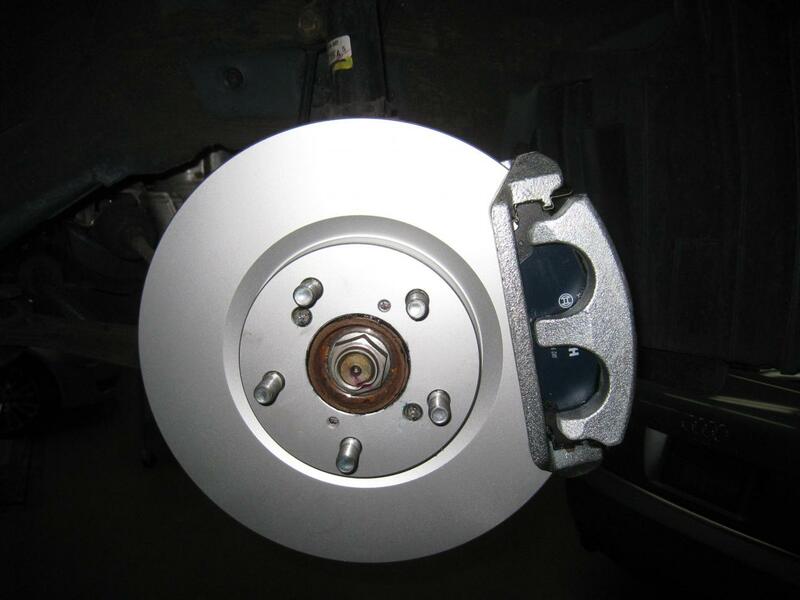 The whole job wasn't any harder than your typical brake job with the only significant change being replacing the calipers. I've only put a few miles on so far but seems like once the pads are all seated in their will be a great brake improvement. 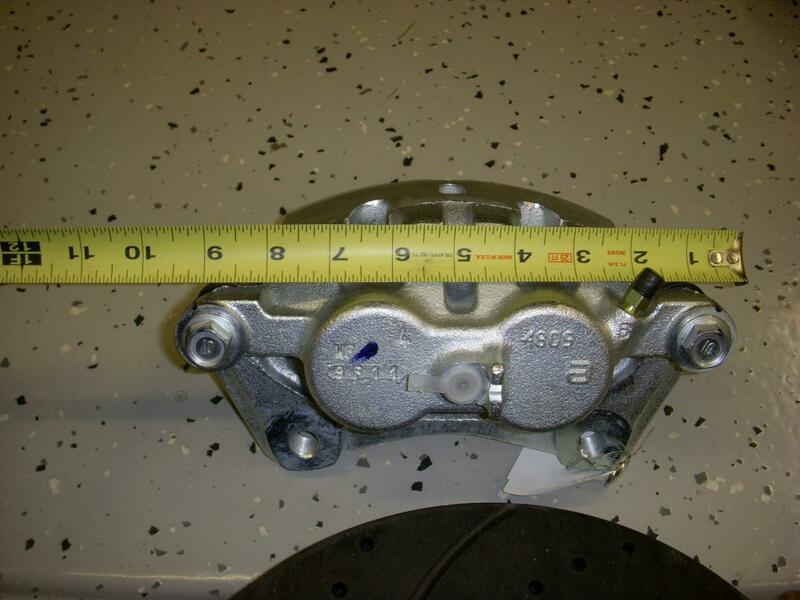 BTW I did the math and the pilot calipers vs the stock odyssey calipers have a 8.3% greater surface area which should result in approx 8% lower pedal but I believe the mechanical torque gains from the larger diameter rotors should easily offset that concern! My Ridgeline used to feel like it stopped better than my Ody. After this swap on the Ody, it makes the Ridgeline's brakes feel weak. 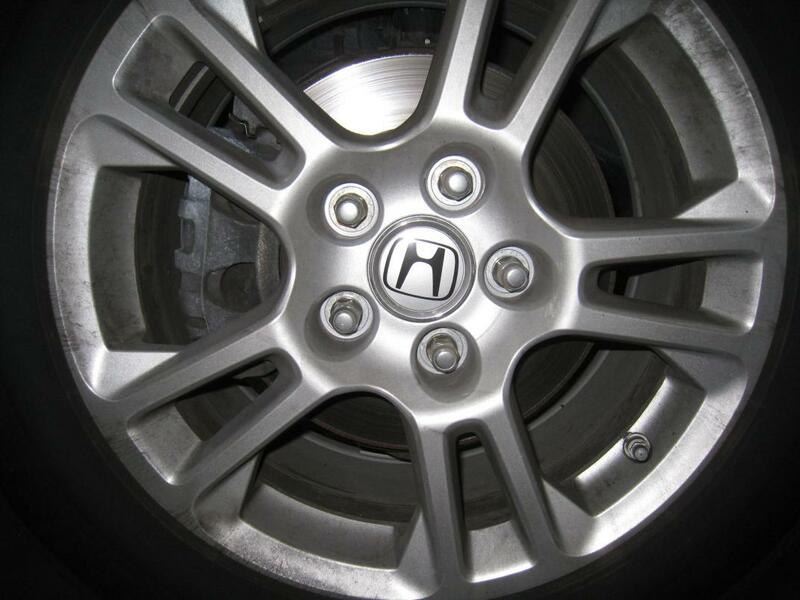 Have you checked the fit of the Odyssey spare tire to see if it'll clear the new calipers? 1. Put spare on rear wheel. 2. Move rear wheel to front. So, you'd have to jack the van up twice on the side of the road. No I have not checked it either, but I thought I could always put the spare on the rear which is actually safer anyways for the weight and stability reasons.